Our curriculum offers experiences that supports and nurtures the growth of each individual child in all areas of development: social, emotional, physical, cognitive and creative. We utilize a hands-on approach to learning through risk taking and investigating in a safe and supportive environment. Individual differences, readiness levels and learning styles among our students are recognized and appreciated by our experienced faculty. 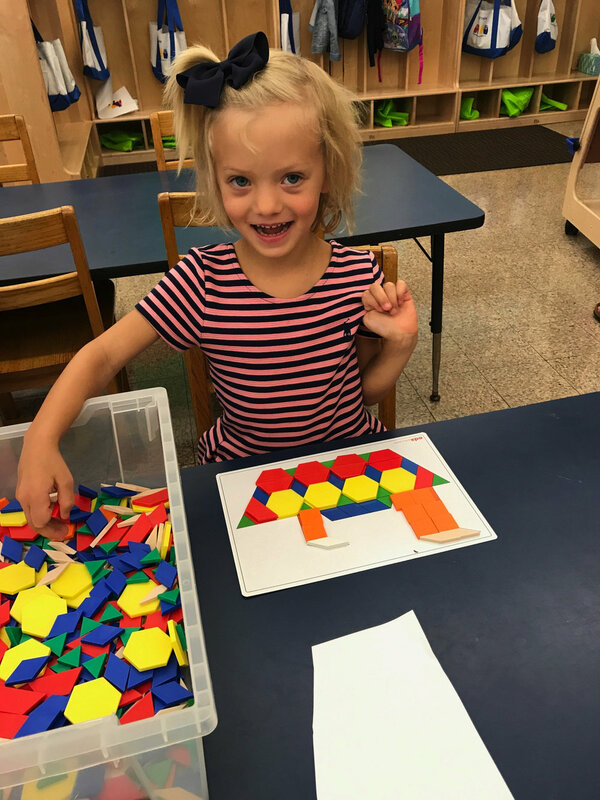 Gross and fine motor skills, language development, pre-reading, pre-writing and pre-math skills, the creative arts and social and emotional growth are primary concerns of our program. Curriculum is developed and implemented in consideration with the following researchers and theorists in the field of early childhood education. Piaget; learning opportunities are based on past learning/experiences and should be concrete and hands on. Vygotsky; teacher is the model/facilitator in the process of a child learning a new skill and learning happens through social interactions (PLAY). Erikson; learning opportunities should support the development of self-image. Children explore and engage with activities in the classroom at their own pace and interest. Teacher are the architects of the environment. Preparing it so that children can thrive through independent exploration. Activities planned to support specific learning concepts may be directed by the teachers in small groups throughout the day. There is time each morning for coming together as a class to listen to stories, learn a poem, discuss the calendar, and share something special during show and tell. Each class has a scheduled thirty minute outdoor play every day. A snack is provided mid-morning. Enrichment activities are embedded into our daily routine. Four days per week children engage in music, art and physical education outside of the classroom environment with trained professionals. In addition, field trips and on-site visits expose children to the excitement of live theater, a variety of natural environments and inform children about our community. Field trip have included: Greenwich Audubon, SUNY Purchase Theater, Fairfield Gardens, Bruce Museum, Stamford Nature Center. On site visits have included Dinosaurs Rock, Oceans Rock, The Bartlett Arboretum, and Animal Embassy. Our upper school students have the opportunity to extend their day and participate in classes like Bricks and Motors (robotic Legos), Mad Science, Martial Art, Nature Sprouts (Audubon), Theater, Music and Sports. Threes can participate up to two extended days. Fours can participate up to four extended. Offerings are specific to age groups.